Last weekend Guerrilla Archaeology braved the rain and mud (oh the mud) to bring our tent to the Green Man Festival, set in the gorgeous Glanusk Park in the shadow of Crug Hwyel Iron Age hillfort. This was our second visit to the festival, and this time we brought the shamanic theme that had been to Secret Garden and Wilderness. We introduced people to our replica antler headdresses, encouraged them to contribute to our travelling wall of cave art, and helping people find their isotopic tribe based on the geology and rainfall where they grew up. Ian also demonstrated some of his considerable flint knapping and antler working skills. 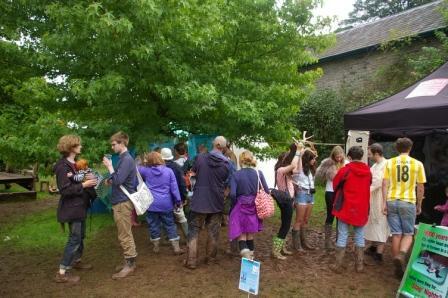 Despite the weather, the tent was often packed, and an ever-growing number of people could be seen around the festival site sporting their iTribe face paint or pipe cleaner antlers. 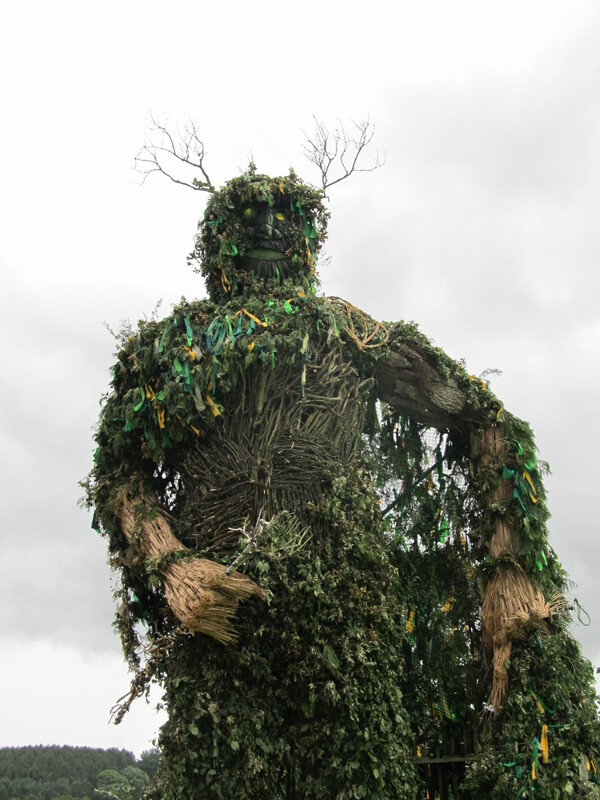 The sun even shone for the last day, giving us a dry spell to watch the festival end in style with the burning of the Green Man, his own antlers silhouetted against the flames. Our equipment has just finished drying out, and we’re just about to box it up to take to our last festival of the season, Shambala!